Jan Morgan founded Grosvenor International, her up market real estate brokerage. This primarily focuses on Central London and serves high profile figures, top executives and people from the media world who require a discreet, hands-on, bespoke service. Jan Morgan has been an active member of the International Women’s Forum for over 20 years and is the past President of IWF London. She is now concentrating on support for Northern Ireland working with a group of European Presidents to extend and enrich IWF in Europe. Her interests include all aspects of health. 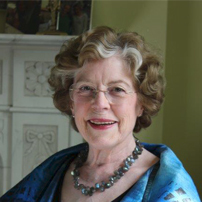 She is a Life Patron and former Chair of Alzheimer’s Research UK in Cambridge and a Trustee of the Royal Free Hospital NHS Trust. She established and runs LOST (Lithuanian Orphans Support Trust) in aid of the two State orphanages in Vilnius. She trained originally as a nurse at University College Hospital, London and is an award winning garden designer and gardener. Jan loves classical music, especially opera; design and architecture; good food, travel and entertaining her family and friends.